At The Pukacz Practice Osteopathic Clinic we are all committed to providing the best in therapeutic care aiming to help our patients reach their full health potential. 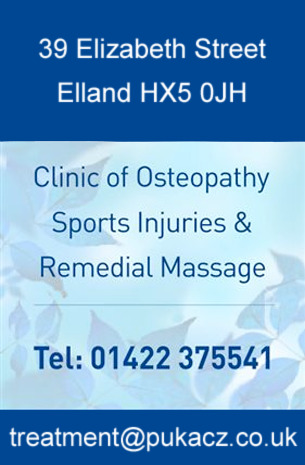 We do this by always striving to apply the principles of "best practice" which means we provide appropriate advice and tailored treatment or a referral specific to each individual patient's particular needs. "Best practice means best for the patient". This puts the patient at the centre of the health need. We always look to the wider need of the person and not just the presenting pain! This whole person approach to health and well being is not particular to osteopathy and is found in most successful systems of medicine. At our practice, we pride ourselves on our patient service. We offer a knowledgeable staff, safe and proven procedures, backed by the latest research. Refferal for MRI, X-ray procedure or appropriate medical intervention as required.